1.1. 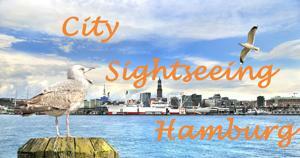 Mrs. Hülsmann offers city tours and city tours for groups or individuals. The present General Terms and Conditions (“GTC”) are part of the contract and apply to all offers and services as well as future legal transactions between Mrs. Jutta Hülsmann and the guest. You will be fully accepted by the Guest in the version valid at the time of the transaction. 1.2. Any provisions deviating from these terms and conditions, in particular the guest’s terms and conditions, are hereby rejected. 1.3. It is exclusively German law. The application of the laws and conventions of international sales law (CISG) is excluded. 1.4. If, for any reason, individual provisions of these GTC are ineffective, the validity of the remaining provisions shall remain unaffected. 2.1. With his booking, which can be made in writing, by e-mail or via the Internet, the guest or the client offers Ms. Hülsmann, the conclusion of a service contract on the basis of the service description for the respective leadership and these terms and conditions binding. 2.2. The service contract for the tour leads through the confirmation, which Jutta Hülsmann makes. It requires no specific form. As a rule, Jutta Hülsmann, except in the case of very short-term bookings, will send the guest or the client a written copy of the booking confirmation. For binding telephone short-term bookings, the legal validity of the contract is given regardless of receipt of the written copy of the booking confirmation and an approximately agreed advance payment. 2.3. If the booking is made by a third party referred to in these conditions as a “group client”, ie an institution or a company (private group, community college, school class, association, bus company, tour operator, incentive or event agency, travel agency), then this is the sole client Contractual partner of Jutta Hülsmann within the scope of the agency contract within the framework of the service contract, insofar as he does not expressly act as a legal representative of the subsequent participants according to the agreements made. In this case, the group purchaser is obliged to pay in full with regard to the agreed remuneration or any cancellation costs. 2.4. If it is expressly agreed that the group client will make the booking as a legal representative of the subsequent participants, he shall be personally liable for all obligations of the subsequent participants insofar as he has accepted this obligation by express and separate declaration. 3.1. The performance owed by Ms. Hülsmann consists of the execution of the tour of the guest according to the terms of reference and the additional agreements. 3.2. Unless otherwise expressly agreed, the tour of the tour is not owed by a specific tour guide. Accordingly, Ms. Hülsmann is not obliged to personally conduct the tour of the guesthouse. 3.3. Even in the case of naming or express agreement of a particular person of the tour guide, it remains reserved in the case of a mandatory reason for preventing (especially due to illness) to be replaced by another, suitable and qualified tour guide. 3.4. The scope of the services owed results from the terms of reference and the additional agreements. Information and warranties of third parties (in particular travel agencies, accommodation establishments, transport companies) regarding the scope of the contractual services, which are contrary to the terms of reference or the agreements made with Jutta Hülsmann, are not binding. 3.5. Changes or additions to the contractually offered services require an express written agreement. 3.6. Changes to essential services that deviate from the agreed content of the contract, which become necessary after conclusion of the contract (in particular also changes in the timing of the tour) and were not brought about by the tour guide in good faith are permitted, as far as the changes are not significant and the Do not interfere with the overall layout of the tour. 3.7. Information on the duration of guided tours is approximate. 4.1. The agreed prices include the execution of the guided tour and additionally advertised or agreed services. 4.3. At the beginning and / or end of the tour outside the city of Hamburg, Ms. Hülsmann or the tour guide representing her is entitled to reimbursement of travel expenses and cover the additional time required. 4.4. Unless otherwise agreed, in particular with regard to a down payment, the agreed remuneration is payable in cash at the beginning of the tour of the guest. Checks or credit cards are not accepted. 4.5. Insofar as Ms. Hülsmann or the tour manager representing her is prepared and able to provide the agreed services and no legal or contractual right of retention of the guest or principal is justified, there is no entitlement to the agreed services without full payment prior to commencement of the tour. 4.6. The maximum number of participants per tour guide for city tours is 25 persons (also for combined bus tours / foot tours). 4.7. If the number of participants appearing for the tour exceeds an agreed number or, unless expressly agreed otherwise, the number of 25 persons per tour guide, Jutta Hülsmann is entitled to call in another tour guide. Regardless of how many people exceeded the agreed number of participants, this additional tour guide will be fully remunerated according to the applicable rates. It is at the discretion of the original and the escorted tour guide to divide the group. If a further tour guide can not be found if the agreed number of persons is exceeded, Ms. Hülsmann has a claim for compensation amounting to twice the rate in accordance with the applicable remuneration regulation. 4.8. If no further tour guide can be found if the agreed number of participants has been exceeded in advance after notification of the guest / client to Jutta Hülsmann due to a lack of availability, then Ms. Hülsmann shall be entitled to a compensation of one and a half times the rate according to the applicable remuneration regulation. 5.1. If the guest or the client accepts the agreed services without Jutta Hülsmann being wholly or partially not entitled to them, even though Ms. Hülsmann or the tour guide representing her is willing and able to render the services, there is no entitlement on refund of payments already made. a) The agreed remuneration is to be paid without any claim for the recreation of the guest guide. b) However, Ms. Hülsmann has to be credited for the expenses saved as well as any compensation which she obtains or otherwise maliciously refrains from using the agreed services elsewhere. 6.1. The guest or the client may terminate the tour for free up to and including the fourth working day before the agreed date. Termination is possible by e-mail or contact form. 6.2. In the event of a later termination, compensation for losses i.H.v. 90% of the agreed remuneration due. The regulation in no. 5.2. Shall apply accordingly. In this case, Ms. Hülsmann invoices the compensation directly to the guest or group client. 6.3. The guest or the client reserves the right to prove to Ms. Hülsmann that no or significantly less loss has been incurred than the calculated lump sum. 6.4. Rebookings (changes of date, time, management process and other essential services and modalities of the tour guide) are possible free of charge until the fourth working day before the agreed date. Thereafter, changes may only be made by notice of termination under the above conditions and subsequent re-booking. A new booking is only valid after a confirmation by Jutta Hülsmann according to the regulations in these terms and conditions. 7. Liability of Jutta Hülsmann and the tour guide. 7.1. Mrs. Hülsmann is not liable for material or financial damages caused by slight negligence. This does not apply in the event of a breach of an obligation which makes the proper performance of the contract possible in the first place and on the observance of which the guest or the client can regularly rely on; In this case, the liability of Ms. Hülsmann for damage to property or pecuniary loss caused by slight negligence is limited to the contractually typical and foreseeable damage. 8.1. The guest or the group client is required to provide a mobile phone number at the time of booking or in good time before the agreed date of the tour, in order to contact them in case of extraordinary events. As a rule, Jutta Hülsmann will also provide the guest or a designated person with a corresponding mobile phone number. 8.2. Agreed management times must be adhered to punctually. If the guest is late, he is obliged to inform Ms. Hülsmann or the tour guide representing the delay at the latest by the time the tour starts and to name the expected time of the delayed arrival. Ms. Hülsmann or the tour guide representing her can refuse a late start of the tour, if the postponement is objectively impossible or unreasonable, especially if it can not follow-up or other compelling business or private appointments can not be met. Shifts of more than 60 minutes entitle Ms. Hülsmann or the tour guide in general to cancel the tour. The claim for remuneration remains. The regulation in section 6 applies accordingly. In this case, Ms Hülsmann will invoice the guest or group client directly. 8.3. If the tour starts late due to circumstances that Jutta Hülsmann and / or the tour guide is not responsible for, then there is no entitlement to an extension of the tour time. In the event of late arrival of the group, it must be agreed between the contracting parties whether the tour was shortened accordingly or – if Ms. Hülsmann and / or the tour guide representing her does not have to fulfill other obligations – the originally agreed duration of the tour should be observed. In this case, the compensation is calculated according to the period, which consists of the waiting time and the actual duration of the tour. 8.4. The guest or the representative of the group client is obliged to report any defects of the management and the agreed services immediately to Ms. Hülsmann and / or the tour guide representing her and to demand redress. Any claims resulting from faulty or incomplete services by Ms. Hülsmann or the tour guide representing her shall not be waived unless this complaint is omitted through no fault of one’s own. 8.5. Cancellation or termination of the tour after the start of the tour is only permissible for the guest or the client if the tour of the tour is considerably inadequate and these deficiencies are not remedied despite a corresponding complaint. In the case of unjustified termination or termination, there is no right to a refund. 8.6. Combined bus / foot guides can only be performed on buses with a working microphone and a tour guide seat. Otherwise, Ms. Hülsmann or the tour guide representing her is entitled to refuse the order if his claim for remuneration (clause 6.2 applies accordingly). 9.1. Jutta Hülsmann has no influence on admission times of local attractions. The time stated in the Jutta Hülsmann order confirmation therefore only applies to the beginning of the management. It does NOT guarantee the admission to a place of interest at that time. 9.2. Furthermore, Jutta Hülsmann has no influence on the general accessibility of museums and public buildings, especially churches on Sundays and public holidays (eg closing due to church services, special events, etc.). 10.1. Contractual claims of the guest or the client against the tour guide or Jutta Hülsmann from injury to life, limb or health, including contractual claims to compensation for pain, based on their negligent breach of duty or intentional or negligent breach of duty of their legal representatives or vicarious agents, become time-barred in according to the general legal regulations. This also applies to claims for the compensation of other damages, which are based on a grossly negligent breach of duty of the tour guide or Jutta Hülsmann or on an intentional or grossly negligent breach of duty by their legal representatives or vicarious agents. 10.2. All other contractual claims expire in one year. 10.3. The limitation period according to the above provisions begins in each case with the end of the year in which the claim arose and the guest or the client of circumstances that justify the claim and the tour guide or Jutta Hülsmann as a debtor attained knowledge or obtain without gross negligence would. The guest or principal can only set off against claims of Ms. Hülsmann if the counterclaim of the guest or principal is undisputed or a legally valid title exists. 13.1. German law applies exclusively to the entire contractual and legal relationship between Jutta Hülsmann and the guest or client, and between the tour guide and the guest or client. 13.2. If the customer is a merchant, a legal entity under public law or a special fund under public law or if he has no general place of jurisdiction in Germany, then Hamburg is the place of performance and place of jurisdiction. 13.3. For the rest, especially for contracts with consumers, the area of ​​jurisdiction is determined by the general statutory regulations. 2.3. Erfolgt die Buchung durch einen in diesen Bedingungen als “Gruppenauftraggeber” bezeichneten Dritten, also eine Institution oder ein Unternehmen (Privatgruppe, Volkshochschule, Schulklasse, Verein, Busunternehmen, Reiseveranstalter, Incentive- oder Event-Agentur, Reisebüro), so ist dieser als alleiniger Auftraggeber Vertragspartner von Jutta Hülsmann im Rahmen des Vermittlungsvertrages im Rahmen des Dienstleistungsvertrages, soweit er nach den getroffenen Vereinbarungen nicht ausdrücklich als rechtsgeschäftlicher Vertreter der späteren Teilnehmer auftritt. Den Gruppenauftraggeber trifft in diesem Fall die volle Zahlungspflicht bezüglich der vereinbarten Vergütung oder eventueller Rücktrittskosten.